The Singapore Writers Festival 2016 kicks off with an intelligent and carefully researched work of documentary theatre by Chong Tze Chien that takes us on a journey through Singapore's literary history spanning more than half a century. 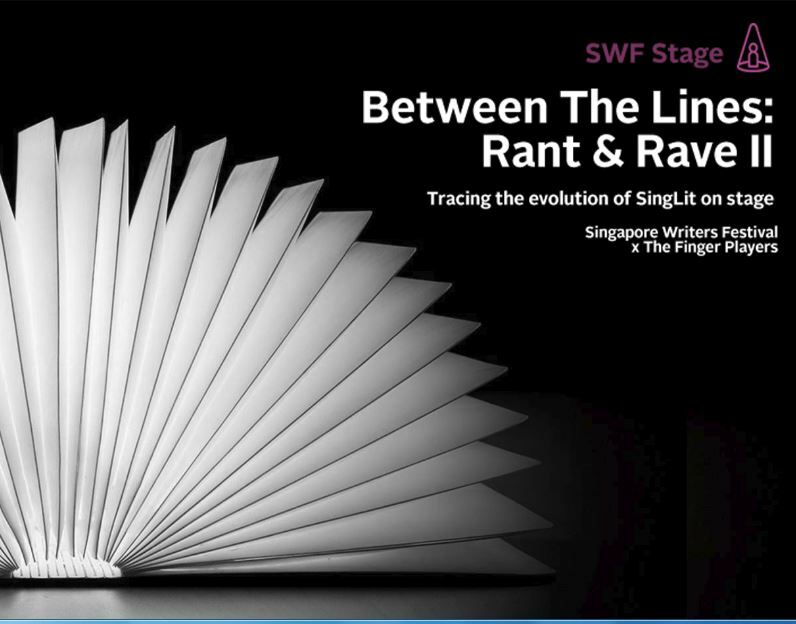 Unlike his 2012 production Rant & Rave which focused exclusively on the Singapore theatre scene, Chong draws the canvas far wider in this sequel and explores the style and content of local literature, the role of institutions and policies in shaping the development of an indigenous literary scene and the key players in the landscape such as readers, writers and academic commentators. The result of this vastness of material makes the themes feel slightly disorganized. 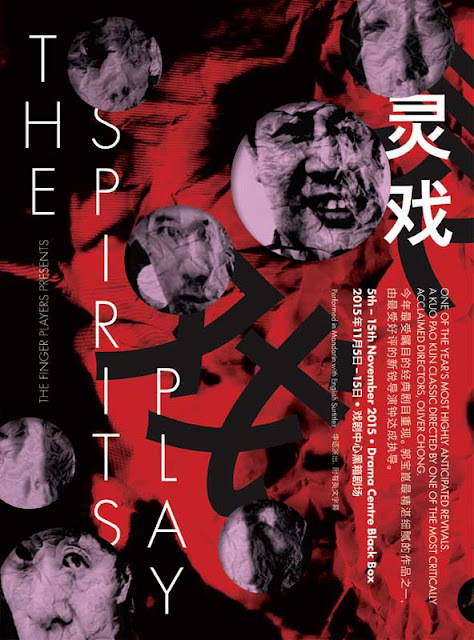 We start with a cursory glimpse of Malayan literature in the colonial era before swiftly moving to post-independence Singapore and the struggle to find a uniquely Singaporean voice and idiom, as reflected in iconic poems by pioneers like Arthur Yap and Edwin Thumboo. Chong reminds us how Singaporeans' love of local literature developed though a healthy diet of horror fiction and sensationalist writing such the True Singapore Ghost Stories series and Bonny Hicks's bawdy confessional Excuse Me, Are You A Model before the current literary renaissance that has seen an outpouring of fresh writing on all topics, eagerly encouraged by publishers like Math Paper Press and Epigram Books. A segment that is of particular interest focuses on institutions shaping the literary culture. There were nostalgic sighs from the audience at references to the Bookworm Club of the 1980s and the arrival of American bookstore Borders in the mid 1990s which rapidly became the hottest hangout in town until poor sales forced it out of the market, a victim of its own liberal browsing policy. While bringing in references to independent bookstores like BooksActually and Littered with Books is important, the narrative could have explained how the rise of online merchants in the past decade has been a primary factor explaining the dearth of traditional book buying. Finally the role of governmental policies is not spared. As liberal as we may fancy the current scene, the spectre of censorship is always there to rear its ugly head. Recent scandals over the culling of a children's book with homosexual characters from the public libraries and the removal of a grant for Sonny Liew's critically-acclaimed graphic novel The Art Of Charlie Chan Hock Chye (which went on to win the coveted Singapore Literature Prize) provide powerful illustrations. 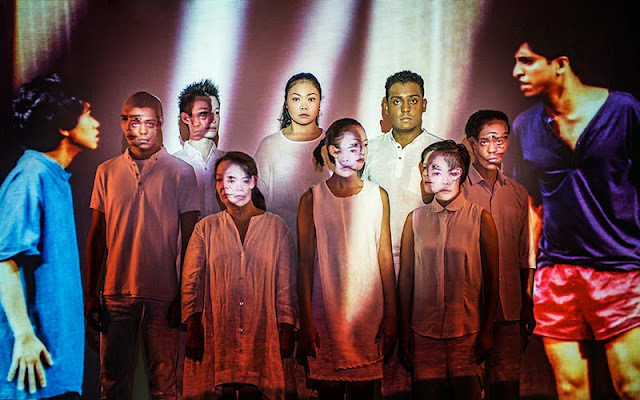 Similar to the original production, performers Jean Ng and Serene Chen read out extracts from the various publications and take on the guises of an assortment of personalities through a quick change of hat, wig or glasses. 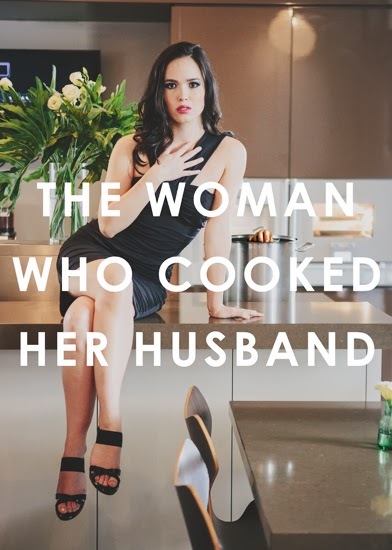 They handle the material with confidence though one senses that they are rushing to switch between the numerous roles instead of letting some moments simply simmer. Chong's production could also be better paced, particularly in the more languid second half. Opening illuminated, book-shaped lanterns to mark each theme in the narrative provides a nice visual but this device grows laboured towards the end. Still, there are a number of colourful impersonations to enliven the evening. 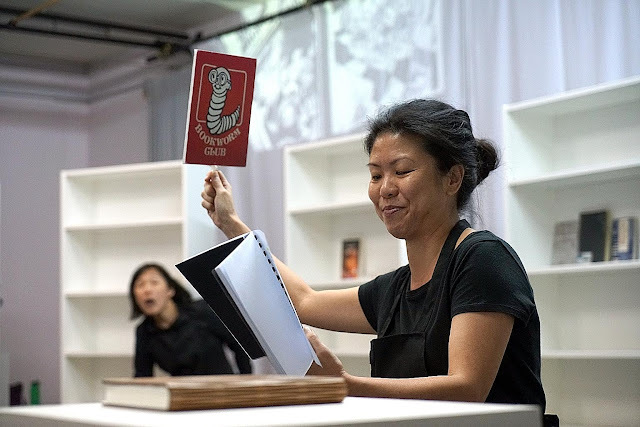 Serene Chen nails the cadences of outspoken writer Catherine Lim and an ineffectual politician while Jean Ng's portrayal of bookseller Kenny Leck, complete with Medusa-like hair and purring kittens, brings the house down. It's perhaps the finale of the show that is most special. The stage, comprised of rows of tall white bookcases, turns into a mini bookstore and the audience is invited to wander in and sample the rich delights of local literature. A fitting end indeed to a performance that celebrates the world of books.